The police working dog is used as an investigative tool to enhance the capabilities of the police officer. Due to their enhanced olfactory capabilities, the police canine can assist officers in locating suspects that flee or hide and evidence that may help in the investigation of a crime. Police canine teams may be trained to locate explosives, narcotics, accelerant's, cadavers or survivors of natural disasters and terrorist attacks. In order to remain proficient, the team must train weekly in areas such as obedience, tracking, detection and apprehension. The team utilizes other officers in order to serve as decoys for the canine. Wearing protective clothing, the decoy can simulate any situation that may be faced in the field. The team also trains weekly on scent work, utilizing decoys to simulate fleeing suspects and all types of explosives for detection. The Miami Police Department Canine Unit serves the entire community as the only explosives detection unit in Butler County. 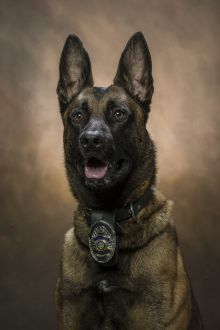 In 2013 due to the retirement of K-9 Ero, K-9 Figo took over the role of Explosives Detection Canine at Miami University. K-9 Figo is a Belgian Malinois that is trained to track fleeing suspects and missing persons and is also able to locate explosives. Although similar to the German Shephard dog in that they both are herding dogs, the Malinois have some distinct differences that benefit it for law enforcement duties. The Malinois is leaner and have a smaller build than that of a German Shepard allowing the Malinois to be more agile and faster. The Malinois also have an endless supply of energy allowing the dog to search for extended periods of time. The US Military have an extensive history of using the Malinois and many law enforcement agencies have in recent years began transitioning from the German Shepard to the Malinois. K-9 Figo was born in Holland where he was selected by Vohne Liche Kennels to be a police service dog candidate. After successfully passing selection testing K-9 Figo was imported to the United States, purchased by the Department of Homeland Security, and ultimately partnered with Ptl. Hibbard. Ptl. Hibbard and K-9 Figo attended training together at Vohne Liche Kennels in Denver, IN. After completing training, Ptl. Hibbard and K-9 Figo achieved Police K-9 Team certifications from the American Working Dog and Ohio Peace Officer Training Commission. Ptl. Hibbard and K-9 Figo primarily patrol Miami University in Oxford but are often called upon to assist other agencies. As the only Explosives Detection K-9 team in Butler County they respond to call outs to assist the Butler County Sheriff's Office Bomb Squad. In addition to assisting the Butler County Bomb Squad, Ptl. Hibbard and K-9 Figo are also assigned to the twelve county Tri-State region of SOSINK (Southern Ohio, Southern Indiana, Northern Kentucky), and Urban Areas Security Initiative region designated by the Department of Homeland Security. As one of the Explosive Detection K-9 teams of SOSINK, the team deploys alongside other Explosive Detection K-9 teams of the region in response to explosive related incidents. 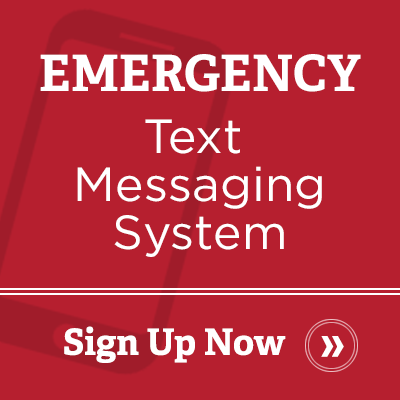 Call-outs and requests for assistance are handled through the Miami University Police Communications Center 24 hours a day at 513-529-2222. Questions about the canine unit, requests for demonstrations or other information should be addressed to Ptl. K. Hibbard by email hibbarkm@miamioh.edu or phone 513-529-0639.